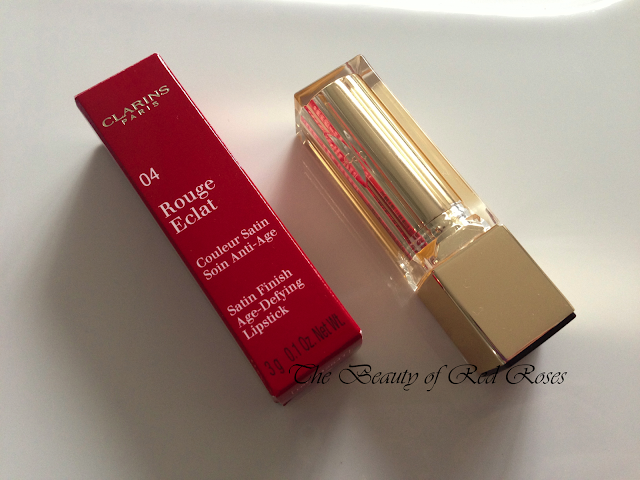 Clarins Rouge Eclat Lipstick (A$38/3g) is the first ever age-defying lipstick by Clarins! This innovational lipstick not only provides a pop of colour but also provides nutrients and vitamins which help to decelerate the aging process of your lips and ensure they maintain their plump and youthful look. 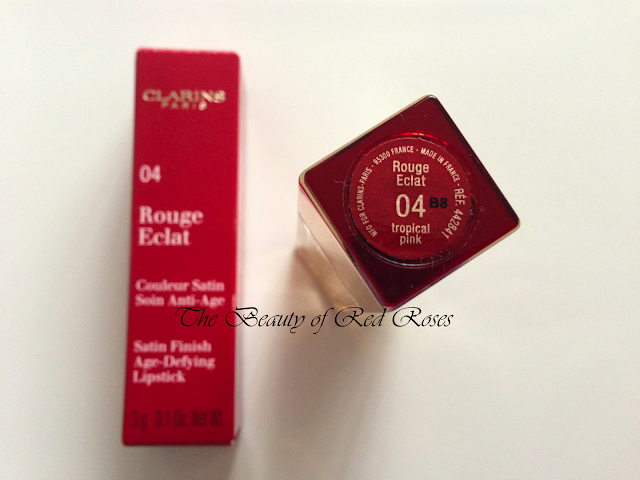 The star ingredients of Clarins Rouge Eclat Lipstick includes a Nutri-Youth Complex, which boosts collagen and hydrate the lips, Vitamin E, which fight against free radicals and 100% plant waxes (Jojoba, Mimosa and Sunflower extracts), which provide comfort and suppleness to the lips. 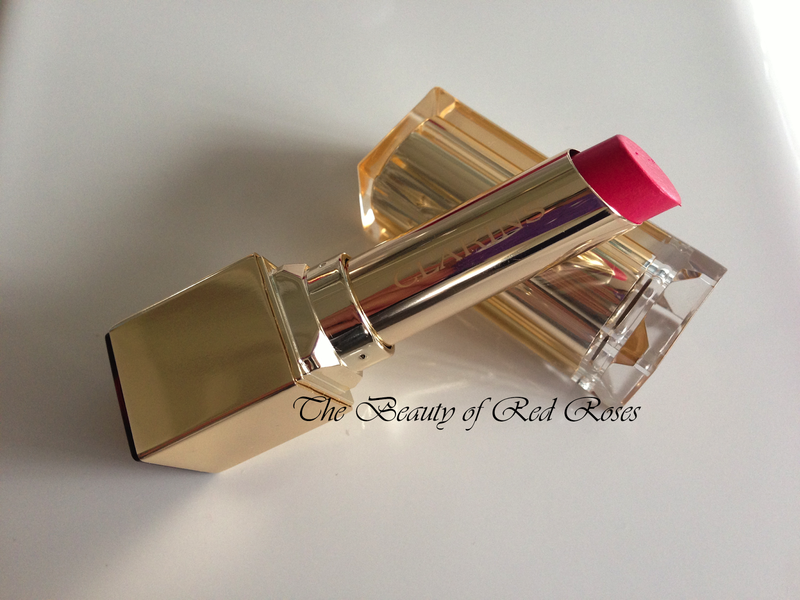 There are 15 sumptuous shades in the Clarins Rouge Eclat Lipstick collection and today I will be showing you a swatch of the shade Tropical Pink (No. 04). Tropical Pink is a vibrant fuschia, which brightens my overall complexion and would easily suit any skin tone. The exterior of this lipstick is square in shape and quite bulky, though the gold tone casing makes this lipstick look very luxe! The round and elongated bullet has a slightly slanted tip which is more ergonomic for an easy and on-the-go application. The creamy texture glides on effortlessly and the pigmentation is very intense, leaving a mirror-shine finish to my lips. The formula is packed full of fabulous ingredients that you could actually feel how ultra soothing, hydrating and replenishing this lipstick feels on the lips. I'm very impressed with the formula and shade of Tropical Pink as it is a trouble-free lipstick that does not bleed and lip gloss is not required for added shine. The formula lasts a good 3-4 hours without eating and leaves a nice subtle stain if you avoid re-application. The scent of this lipstick formula is also quite amazing as it contains notes of Blackberry and Liquorice! I absolutely adore this lovely sweet and intense scent! 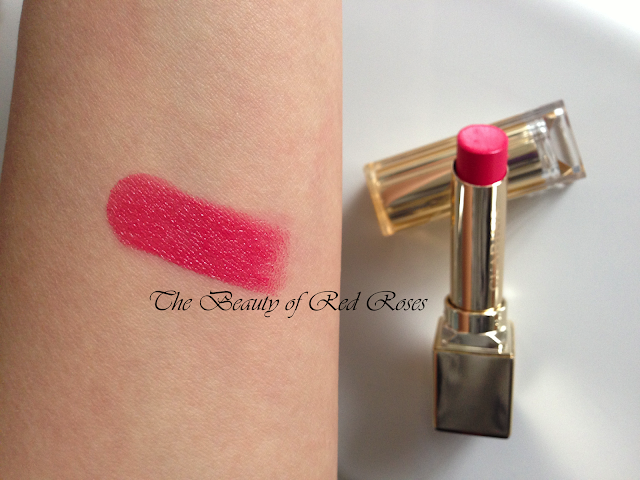 Have you explored Clarins Rouge Eclat Lipsticks yet? What do you think of their concept of producing an age-defying lipstick formula?